Issue 19 is scheduled for release on June 1, 2019. A link will be emailed to everyone in it and posted here as soon as it is a live link. 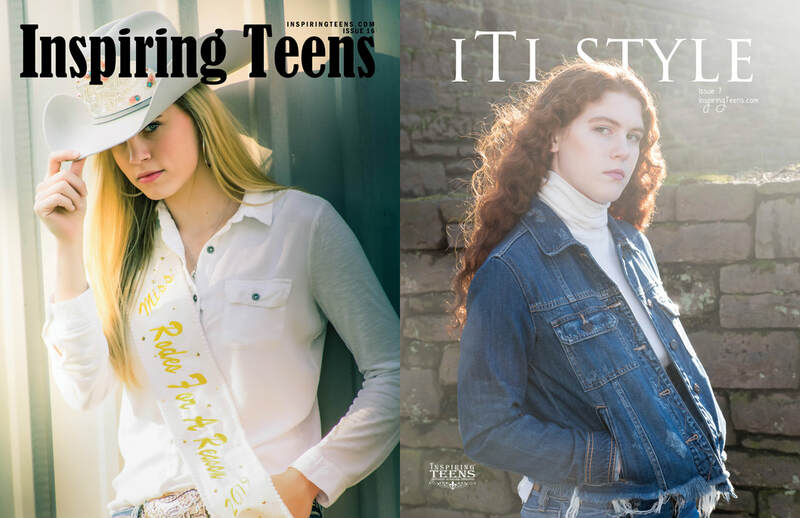 ​Congratulations Alexandria Poe for reaching Icon Status and winning the Inspiring Teens Magazine Issue 19 cover and scholarship! ​Congratulations Phoebe Berry for reaching Icon Status and winning the ​iTi STYLE Magazine Issue 9 cover! ​​Congratulations Joseph Stokes for reaching Icon Status and winning the ​next available prize! ​click it to read their interview for issue 19 already featured on the blog!